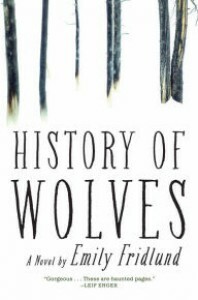 I get why some readers do not like Emily Fridlund's History of Wolves. I totally do. There are two primary stories being told in this novel; the narrative jumps back and forth between the two and also fills the reader in on backstory. The connection between these various threads is vague. If you're not paying close attention, you may not see any connection at all. Even if you see how everything is related, you may not care. 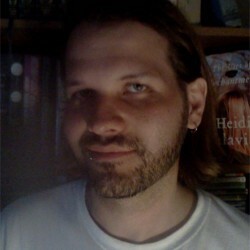 The thread that binds everything is a mental one, and those looking for a concrete link will be thoroughly disappointed. I recognize all that, so I'm not surprised that this novel has its fair share of haters. I loved it. Early on, I could tell that this novel was going to require some thought. I don't recall what the clue was, but there was something off-kilter about the narrator and I suspected that close attention was needed. So I slowed my reading down. I listened to the nuances of the narrator's speech. I looked for clues in the text. A few times, I flipped back and compared. And while such functions should not be required of a reader, I'm glad I did, because I enjoyed the story immensely more as I took more time with it. There's an atmospheric quality that is beautiful in History of Wolves. It's lyrical and thought-provoking, but it's dark and impossible to trust. You can feel the shadow of the forest, the creak of the trees, the crunch of snow beneath your soles and you want to stay here, but there's also a need to rush home and never look back. The same is true with the story's narrator. “Linda” is completely believable as a young teenage girl, charming as a storyteller, but you sense she is not a trustworthy person. Yet, I really liked her. She seemed so much more real than most of what I encounter in fiction. The conclusion I'd been anticipating was not as big and dramatic as I'd work out it would be. I expected something really huge and the final acts were far from that, but they worked. The conclusion tied most of the threads together. I say most, because I'm not sure how some of the backstory with the cult fit in. Also, I didn't grasp how all this tied in with Madeline's wolf project. I suspect this is something I simply missed or was too daft to understand. A second read would probably clear these matters up, but it's rare that I ever return to a book, even when I have loved it. I'm really glad History of Wolves was nominated for this year's Man Booker Prize. Prior to its nomination, I hadn't heard of the novel or its author; I doubt it ever would've crossed my path. It is such a gorgeous work in so many ways. It was difficult, you could say elusive, but part of what I liked most was the hunt for the heart of the story. It's in there and if you can put your finger on it, you'll feel the pulse that really brings this story to life. History of Wolves is this year's biggest underdog. Personally, I think it stands no chance of winning the prize. I'd venture to guess that it won't make the shortlist either, but it does share some of the gothic atmosphere of last year's Eileen—it made the shortlist. While I think History of Wolves is a stellar novel (and some of the judges must agree since it made the longlist), it does not strike me as a Man Booker winner (though of the five nominees I've read so far, it's easily myfavorite).